camp in eastern Poland. According to mainstream historiography 170,000 to 250,000 Jews were exterminated here in gas chambers between May 1942 and October 1943. The corpses were buried in mass graves and later incinerated on an open-air pyre. But do these claims really stand up to scrutiny? historiography of the camp is not based on solid evidence, but on the selective use of eye-witness testimonies, which in turn are riddled with contradictions and outright absurdities. All early witnesses, for example, report about murder with chlorine or an ominous black liquid, and almost all witnesses agree that the gas chambers had collapsible floors, which served to quickly remove the corpses after the deed into hollow spaces underneath. Internal combustion engines were posited as a source of poisonous gas only after the war, and the stories about collapsible floors were delegated to oblivion by orthodox historians. extermination against the Jews. 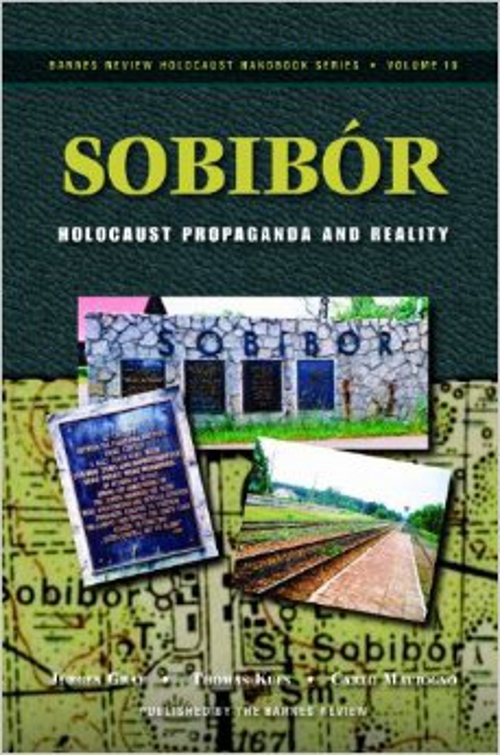 A large number of contemporary documents are brought forth which refute the Holocaust historians’ claim that the “Final solution” and “deportation to the east” were code words for mass murder.